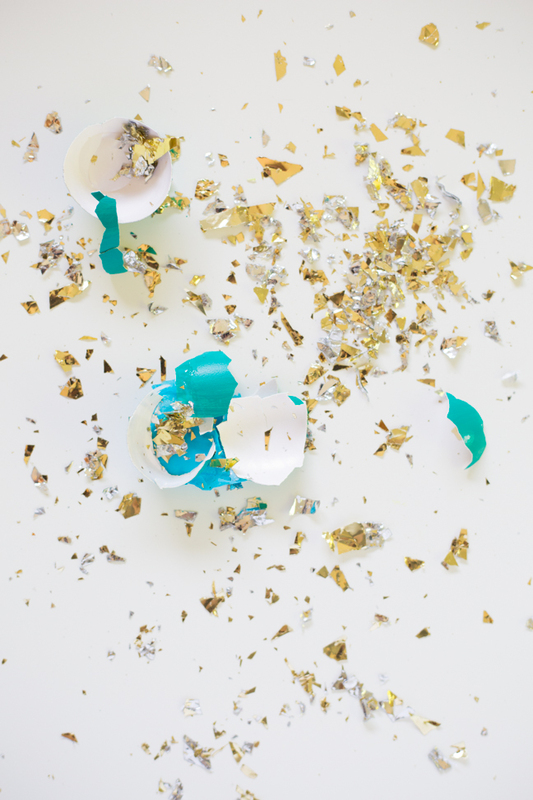 Cascarones are a Mexican tradition of filling egg shells with confetti and breaking them over people’s heads for good luck. 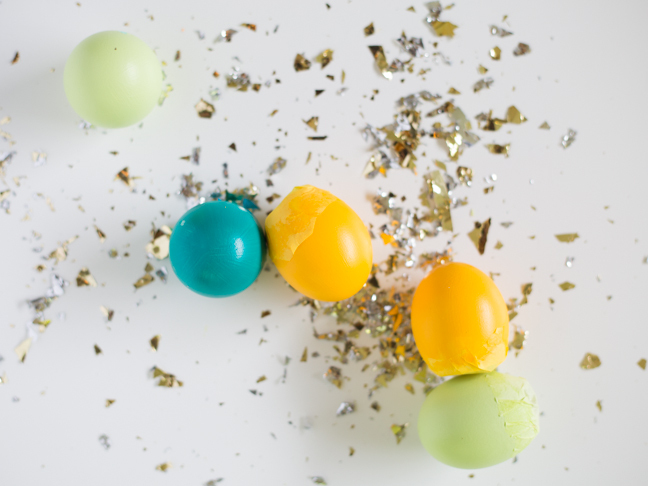 They can be used for all sorts of occasions including weddings, carnivals, and birthdays, but they are most appropriate for a fun Easter celebration. 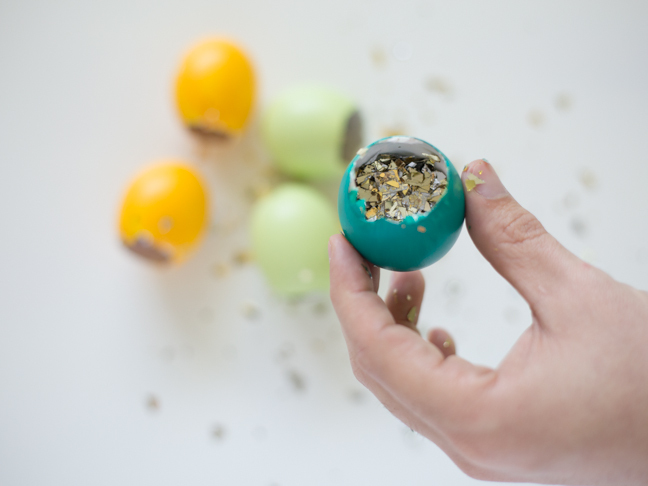 Instead of hiding hard boiled eggs around your yard for Easter, how about hiding cascarones? 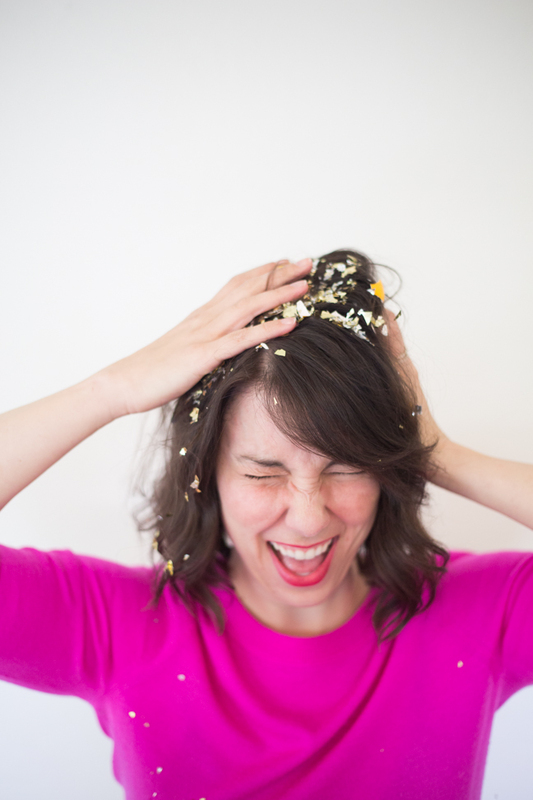 Then you can follow up your Easter egg hunt with a confetti party! 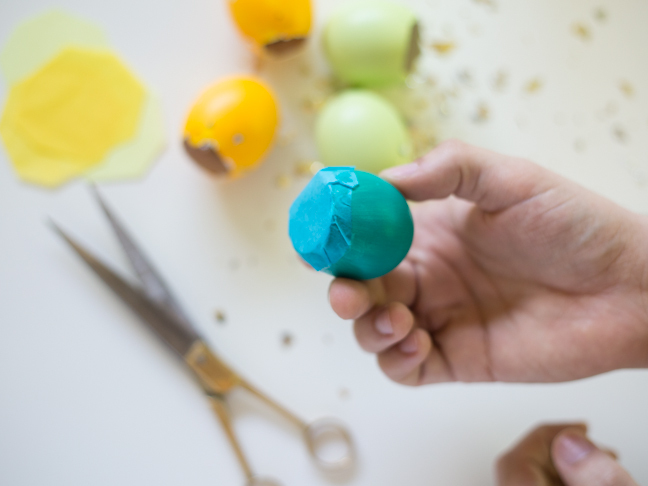 Here’s how to make your own DIY cascarones for Easter. Step 1: Start by emptying out your eggs. 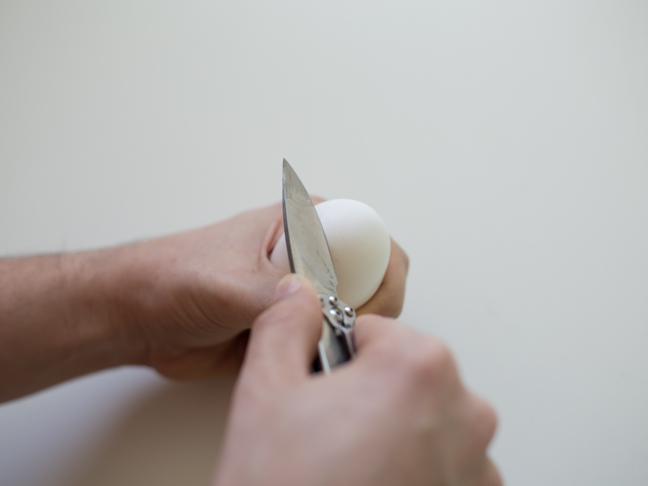 Very carefully score around the top edge of the egg with your knife until you can break through to the inside. 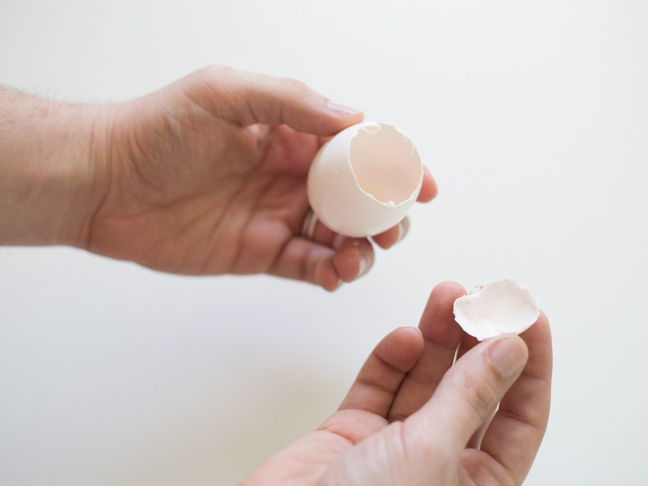 If you score carefully, you can get a really clean break and make a neat circle at the top of your egg. 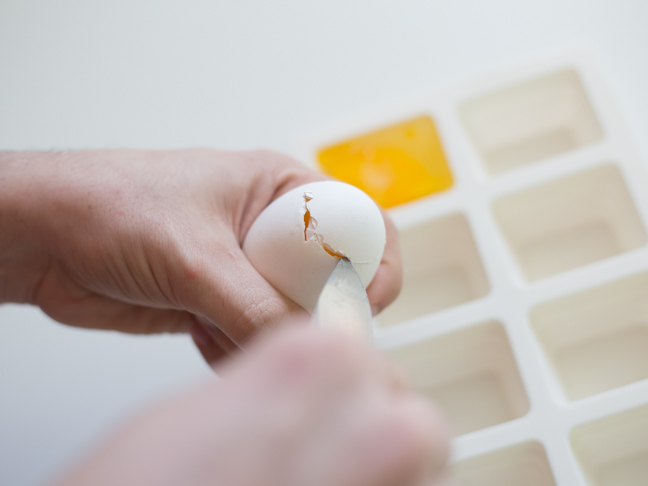 If you are’t too concerned about a clean line, you can always just poke a hole in the top of the egg and break away enough of the shell to get the yolk out. Step 2: Empty your yolks and whites. 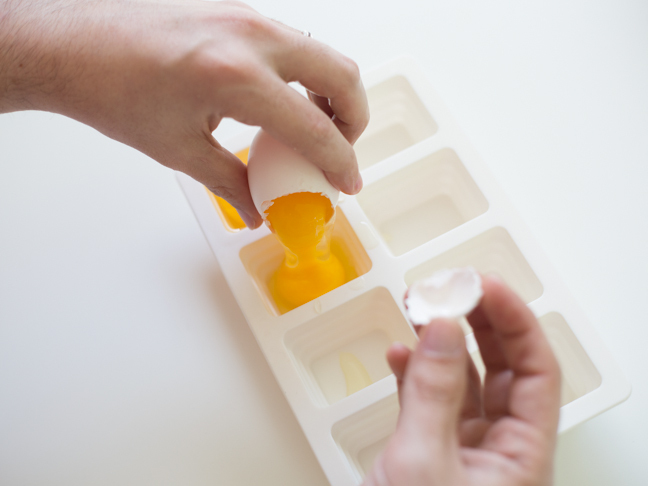 Rather than let a whole carton of eggs go to waste, I broke mine into an ice cube tray to freeze for future use. Making Easter eggs is also a perfect excuse for baking. So many eggs to cook with! Step 3: Wash your eggshells. Once your eggs are emptied of their yolks and whites, run the eggshells under running water to rinse them clean. Then set them aside to dry thoroughly before continuing. Be sure to wash your eggs carefully, as you want to avoid any risk of salmonella poisoning. Step 4: Paint and decorate your eggs. I used craft paint on my eggs, but you can decorate them however you like. Egg-dyeing kits work great, but I wanted brighter and bolder colors, and I wanted them fast, so I decided to just paint them solid. 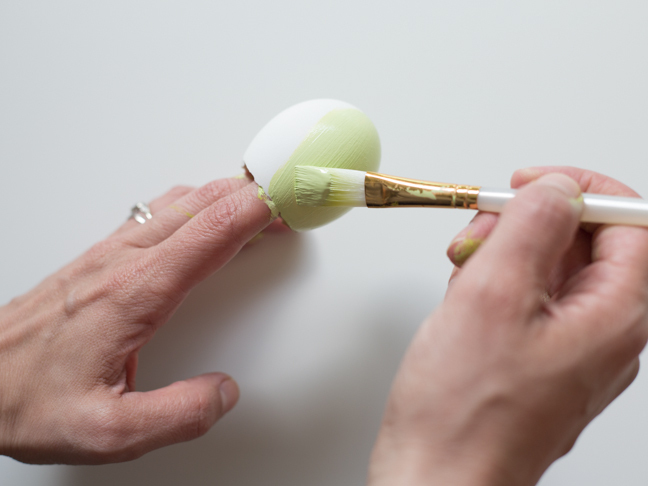 Step 5: Once your paint is dry and your eggs are decorated to your liking, fill them with confetti. 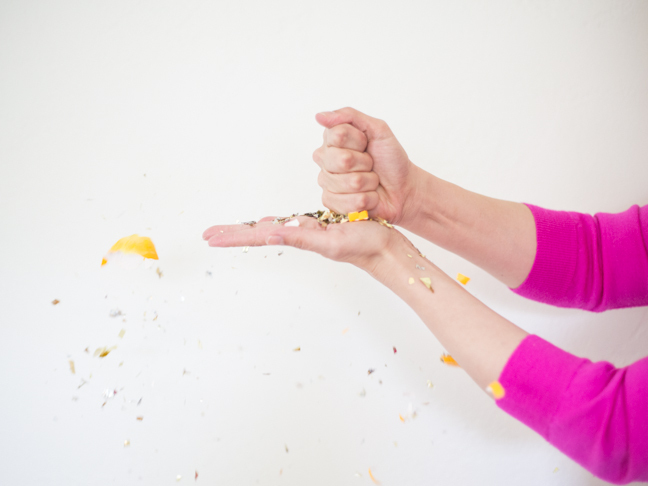 I am using gold and silver mylar confetti, but you can use any type of confetti you like. 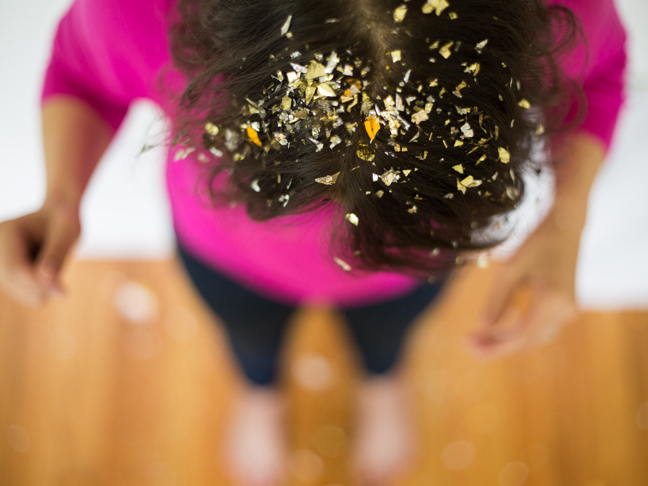 If you want to make a really big mess, you can use glitter. As an added bonus, you can even include small, soft toys inside the eggs for the kids to find when they smash them. Step 6: Cut your tissue paper to size. I cut mine into octagons so that there would be less sharp corners to deal with. You can match your tissue paper colors to your paint, or add different colors for variety. Step 7: Glue your cascarones shut by gluing the tissue paper over the open edge of the eggshell. 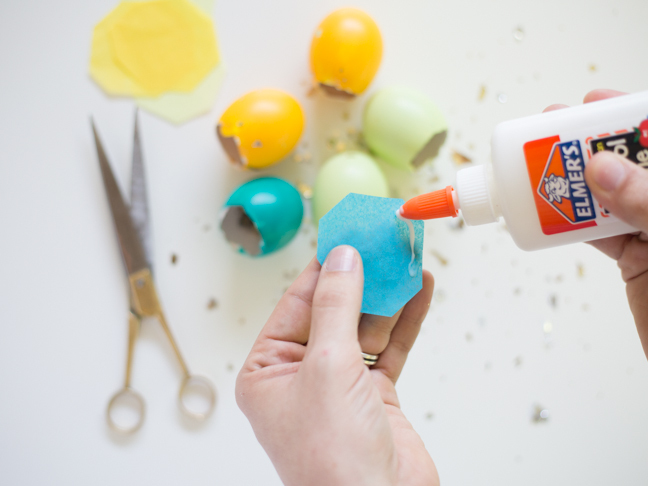 Be careful to not spill your confetti out, and make a complete seal around the edge of the egg. Step 8: Once your eggs are dry, they are ready for the celebration. Smash them on your loved ones’ heads for good luck and to celebrate the Easter season!